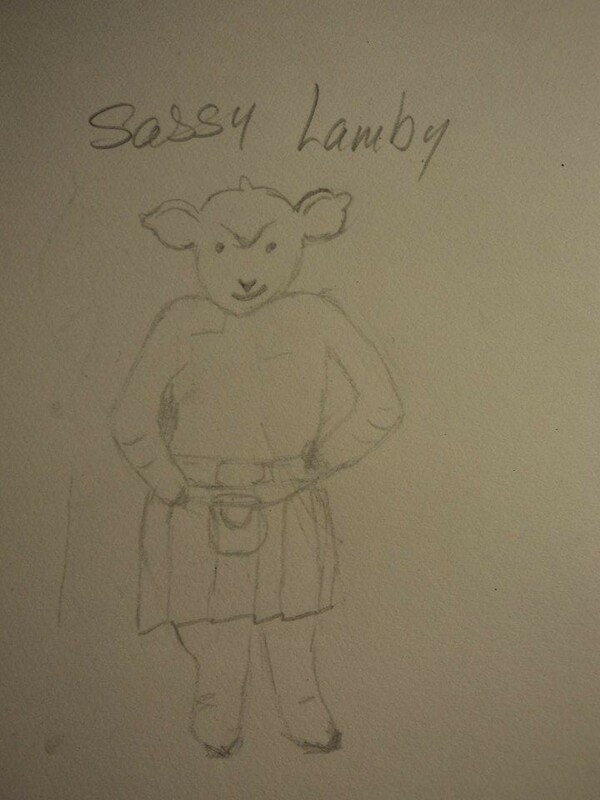 In my guild at the Ren Fair, we’re going to make t-shirts and stuff for this year’s cast. This past week, we were presented with the opportunity to come up with a new slogan which would require a new image. (Our guild chief got conked in the back of a head during the keg toss – and he was a good 20 feet away.) 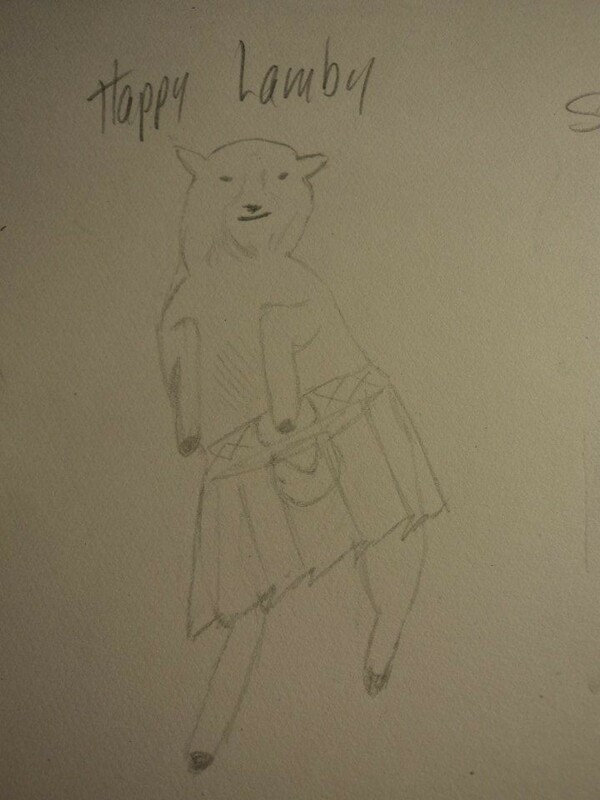 We were talking about other slogans, kind of playing on that incident (which could have been horrible but wasn’t,) and I drew a few sketches of a sheep in a kilt to work with it. I even gave them both names.